They made and recorded a sort of institute and digest of anarchy called the Rights of Man. 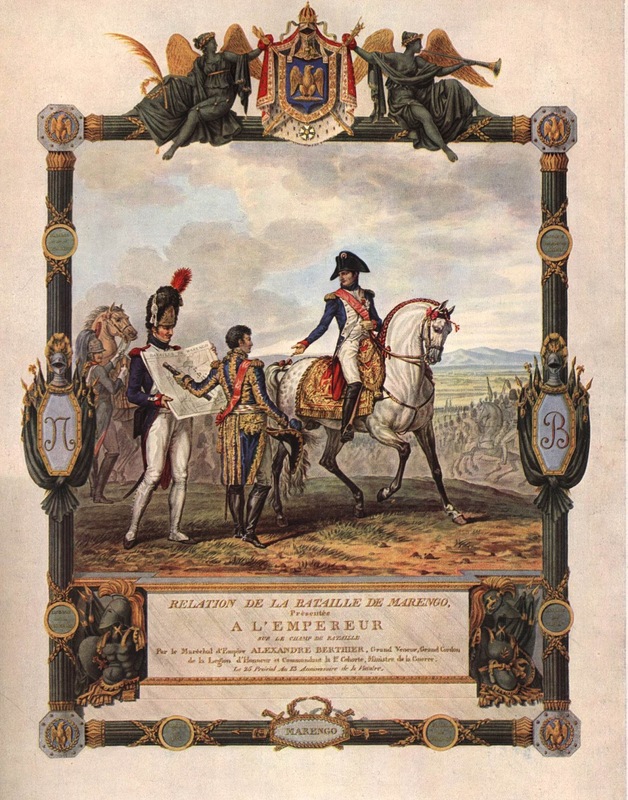 After the French Revolution degenerated into the bloodletting known as the Reign of Terror and the revolutionaries had levied a huge army first to defend and then to export the revolution, Napoleon was the man who stepped forward to restore internal order and redirect its campaigns. He overthrew the governing Directorate in a November 1799 coup and progressively assumed the offices of First Consul, Dictator for Life, and Emperor. his time concluded that they needed to defeat him, and finally did so in 1815. Post-Napoleonic Europe began with an effort by the Old Order, the political leadership that had led Europe since the birth of the nation-state—monarchs, aristocrats, officers of state, and the beneficiaries of crown policies and largesse—to maintain peace and their own station. This Concert of Europe soon faced economic, scientific, and social changes unprecedented in history, including irrational impulses for violence and revolution. The fear and animosity created as the Old Order attempted to restrain these impulses for both evolutionary and revolutionary change fueled the explosion that would come in 1914. Even before Napoleon's final defeat at Waterloo, a peace conference was convened to arrange a post-Bonaparte peace. 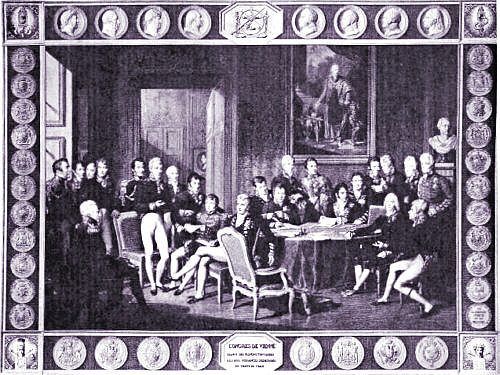 At the Congress of Vienna, the Old Order established a Concert of Europe, an alliance system to de-fang revolutionary France, keep each Great Power secure but unable to dominate the others, and to set rules of diplomacy that are still in force today. Its tenor was unsympathetic to both democracy and nationalism. The five dominant participants sought to strengthen the legitimacy of the established monarchies, to treat France fairly and return the Bourbon monarchy, and to institutionalize a "balance of power" grand strategy, with no single country becoming too powerful. War was to be avoided by "congresses," diplomatic conferences of the leading states. France, armée, Joséphine. . .
1820s: The Concert of Europe suppresses rebellions in Spain and Italy but supports Greek efforts to gain independence from the Ottomans. 1823: Great Britain backs the U.S. issuing of the Monroe Doctrine, which opposed the reestablishment of Spanish or other European rule in the revolting Latin American colonies. 1827: Russian, British, and French fleets defeat the Turkish and Egyptian fleets at the Battle of Navarino, effectively winning independence for Greece. 1832-3: Britain enfranchises middle–class men (Reform Bill) and abolishes slavery in its possessions. The reign of Queen Victoria symbolizes an age of confidence, restraint, and British world leadership. The United Kingdom becomes the leading economic power in the world, possessing the largest colonial empire. European powers conquer and colonize most of Africa and parts of Asia during this period. 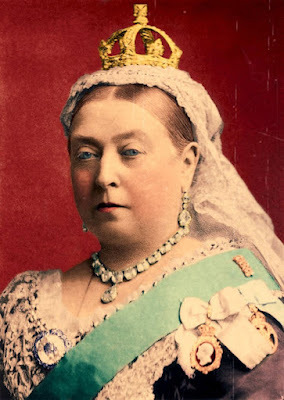 While Victorianism is stereotyped as prudish, it was also the time when religion lost its decisive hold. Men begin looking increasingly to the growing institutions of industry and government for support and fulfillment. No power on earth will succeed in moving Me to transform that natural relationship between ruler and people. . . into a legalistic or constitutional one and I will never allow a written piece of paper to come between Our Lord God in heaven and this country. Yet revolution came in 1848.